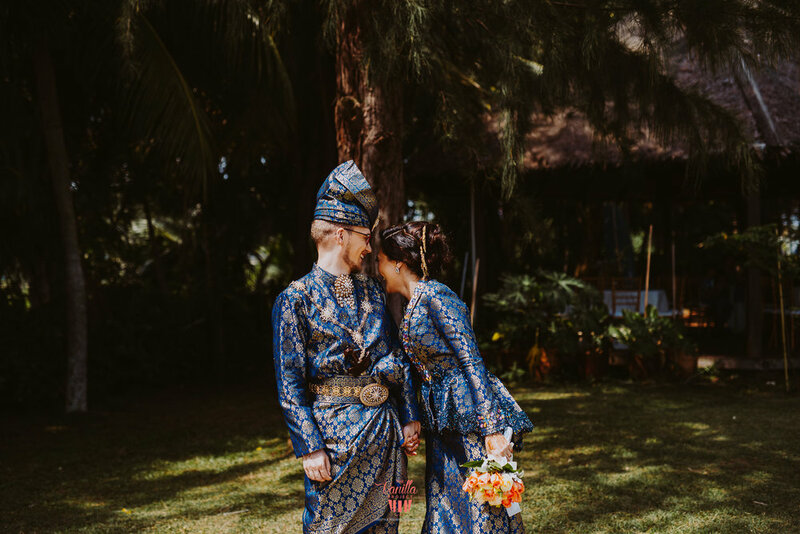 Love knows no boundaries and thats how Stefan met Hasnita. 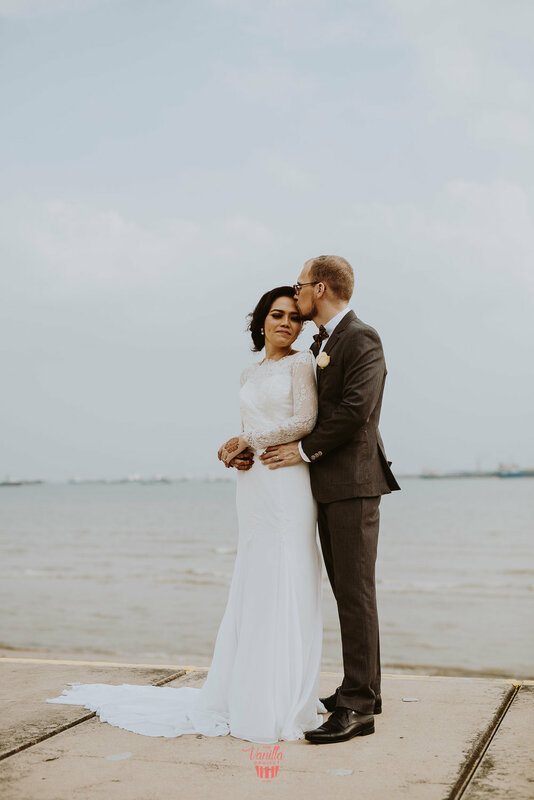 Thousand miles away from Netherlands he met Hasnita in the tropical island of Singapore. 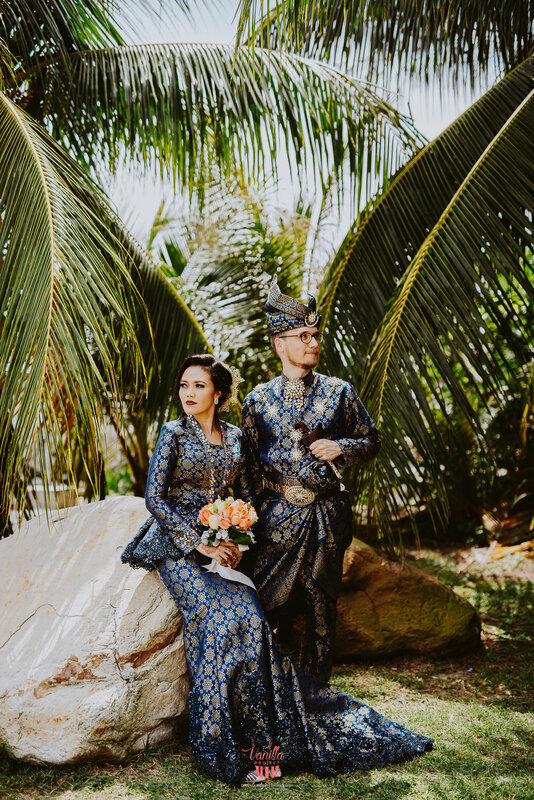 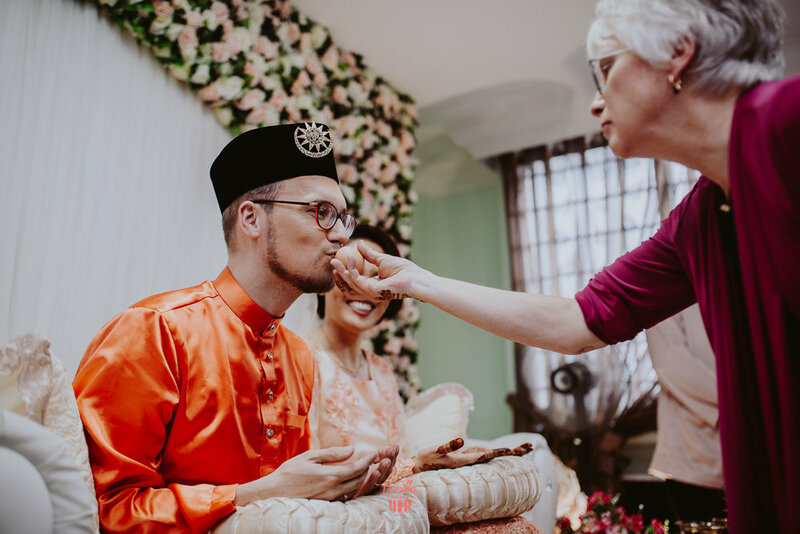 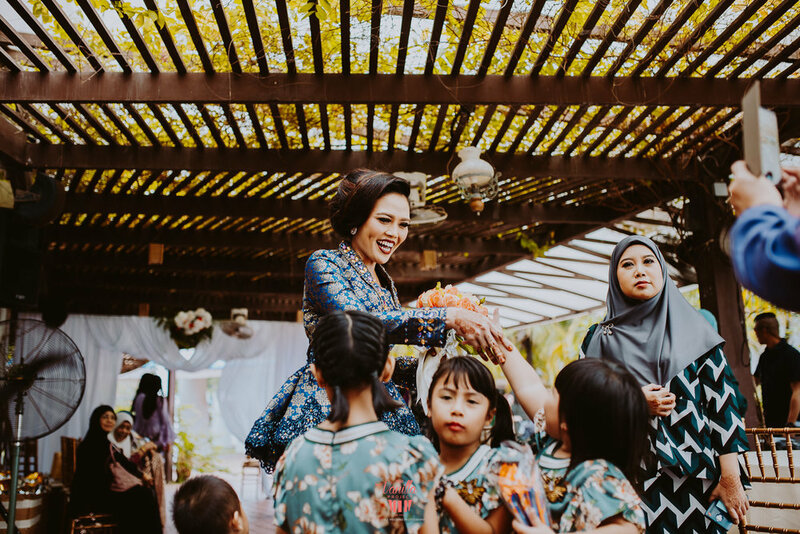 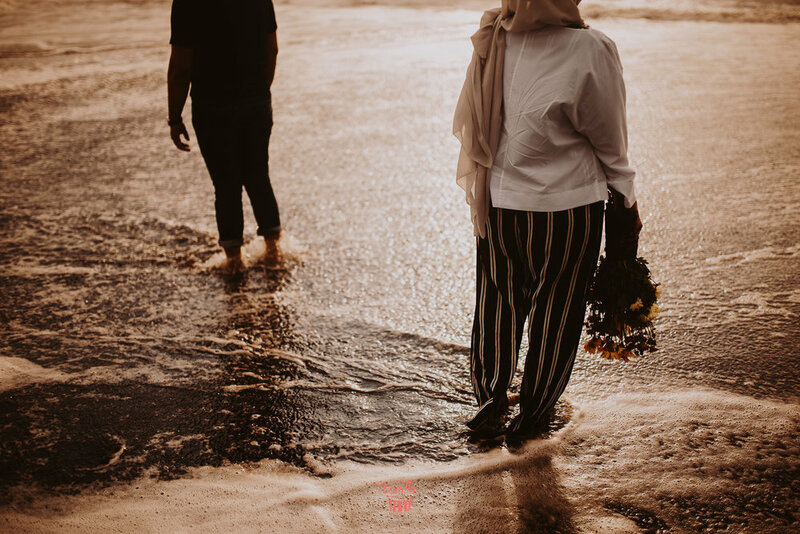 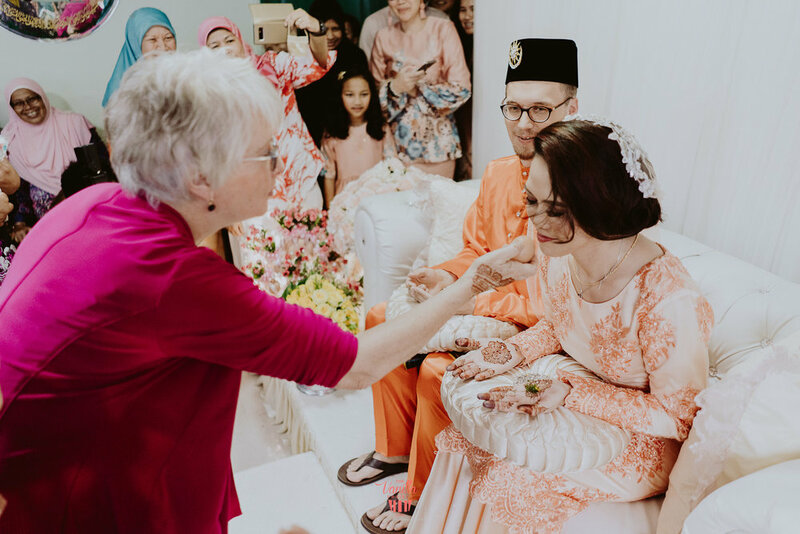 Stefan & Hasnita held a humble solemnization ceremony in Hasnita’s flat apartment in traditional malay outfit but in the national colour of the Netherlands. 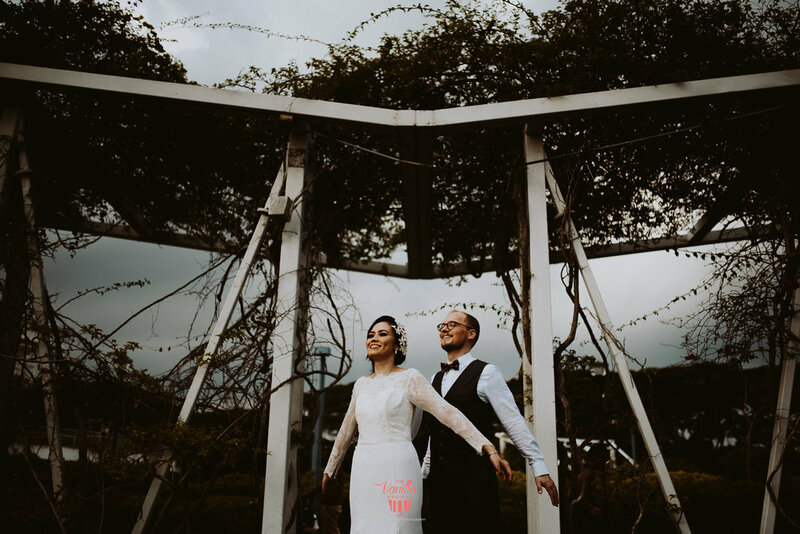 They held their reception at a beautiful outdoor restaurant, Gurame International Restaurant at Changi. 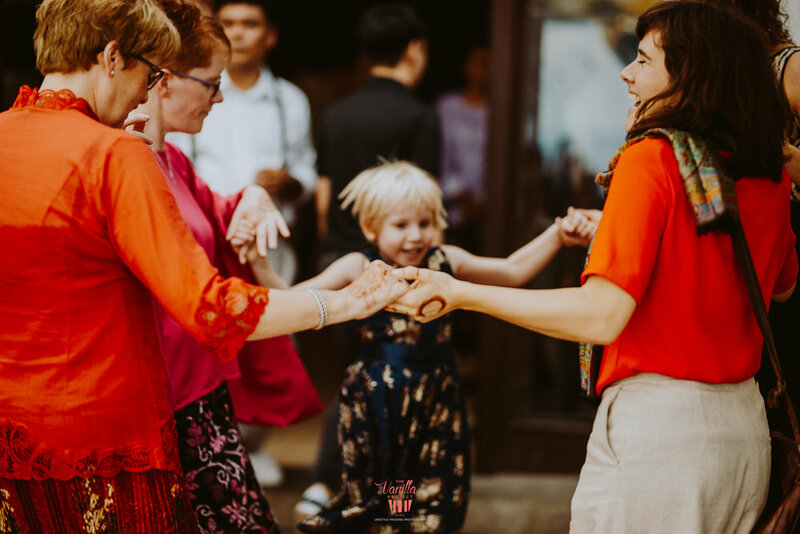 The event was extra lively with great music and dance too! 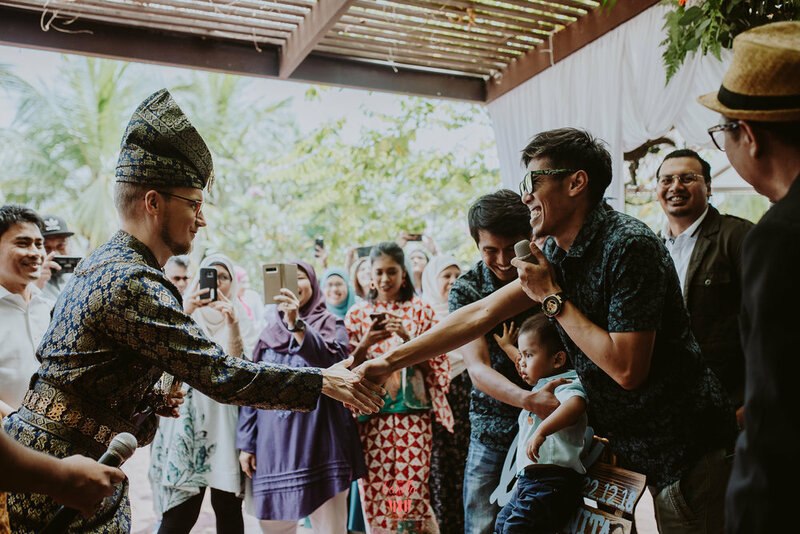 It starts with the traditional walk in with Kompang where the Groom is to meet the bride. 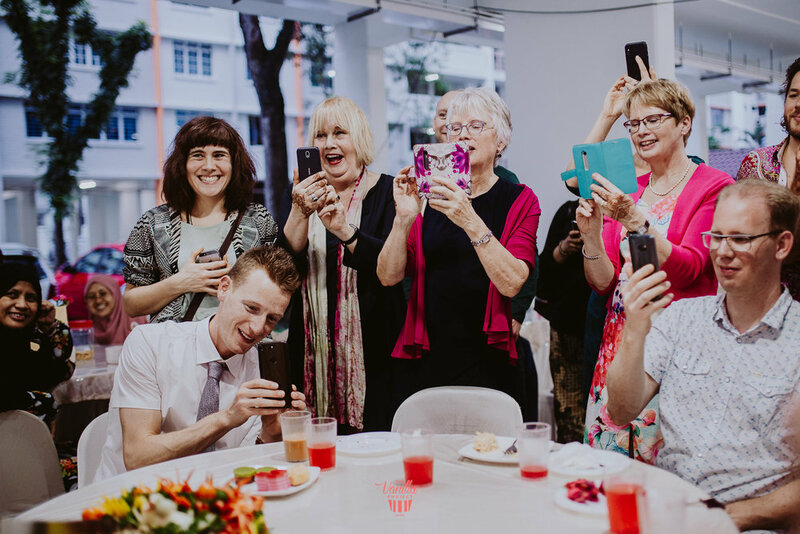 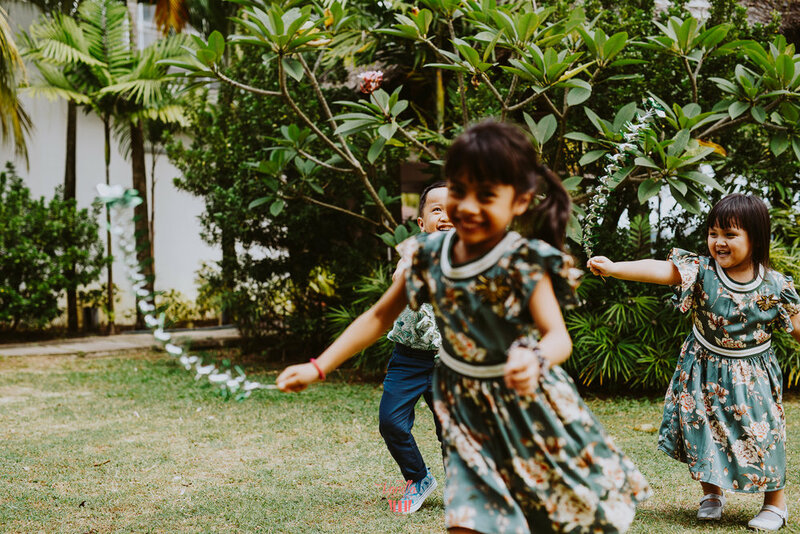 The Groom will be met with an obstacle set by the Bride’s family where he will be given a challenge. 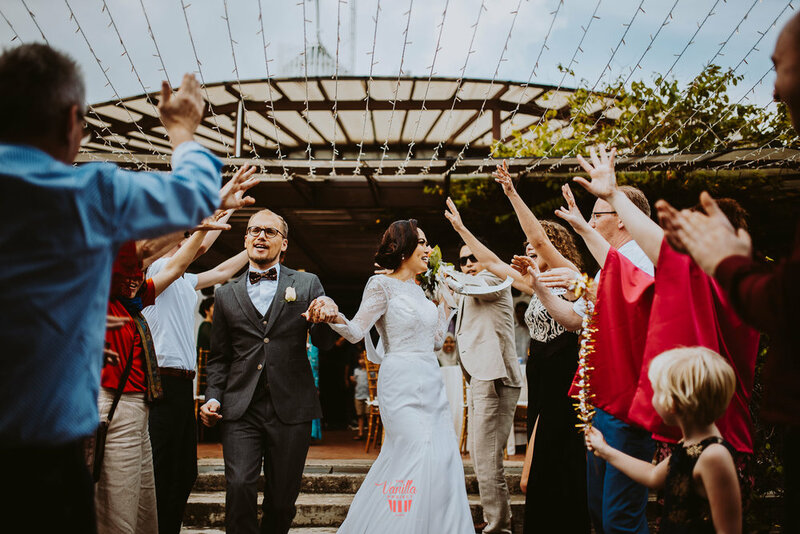 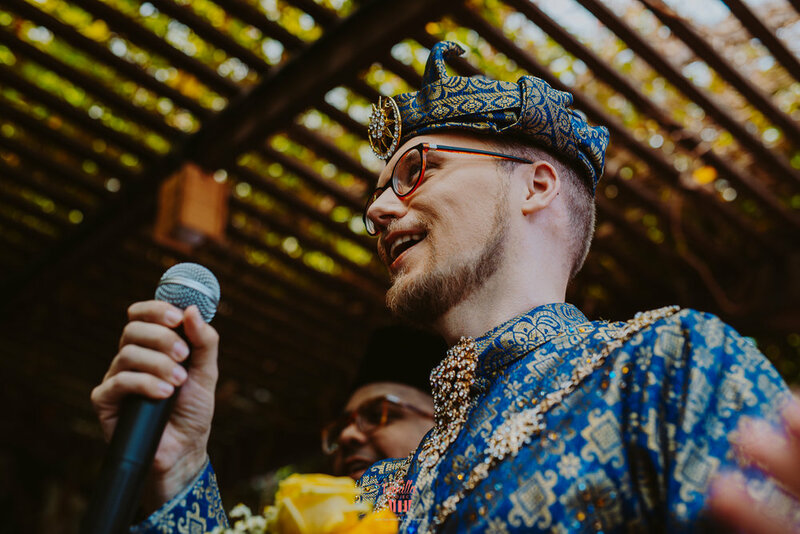 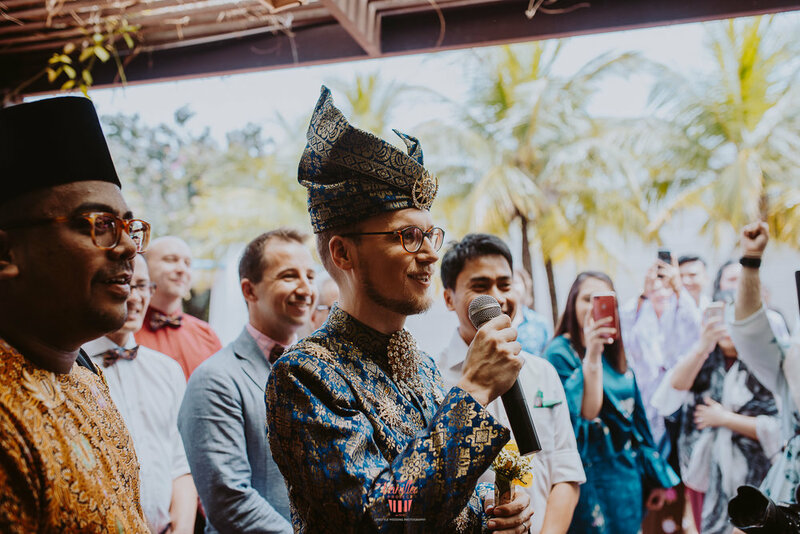 Once the Groom met the Bride and seated on the Dais, a small performance of Silat is performed as a show of respect to the “King and Queen” for the day. 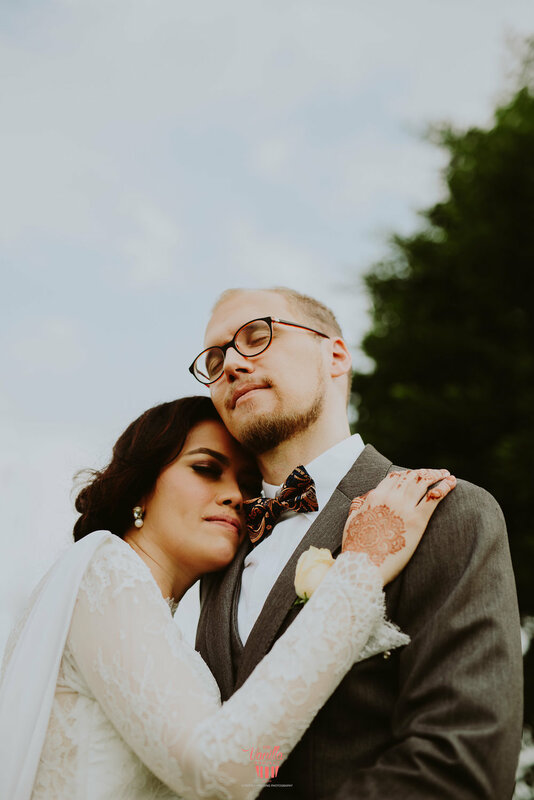 We wish Stefan & Hasnita a happy marriage and be happy always!